Focus on dynamic patterns instead of linear causal relations. The change process shifts from incremental change to fundamental, organisation wide change. Read more about systems thinking on the website of The Systems Thinker. 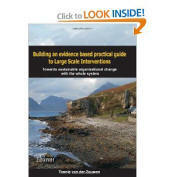 Their journal also contains interesting articles about other LSI principles and LGI methods. In systems thinking every picture tells a story. Learn more about drawing pictures with circles of causality in the article Language of Systems Thinking: "Links" and "Loops" of Michael Goodman and others.